Ohoh! I have wanted to write about this console for a long, LONG time now! This article will hopefully brush off the negativity surrounded by the console and illuminate you more with the intriguing history behind the company, the games, and how it even offered legal emulation in the mainstream market. Why I am fascinated by this console? I don’t know. The first time I laid my eyes on a 3DO was at my local video game store in Blackwood back in 1994 and back then I was all about the SNES. I then became very impressed by the graphics of the games that the store owners unboxed and hammered on this mysterious unknown console all afternoon.. Games like Star Control 2 and Crash & Burn (which was in fact one of the launch titles). The 3DO Interactive Multiplayer (or just 3DO for short) came out in North America on 4th October 1993 (with a Japan release in 1994) and was made by the 3DO company, run by Trip Hawkins who founded Electronic Arts. I should add that this console was not officially released in Australia but grey market importers got them in to the country, either with or without power conversion. Okay, why is the 3DO ridiculed among collectors and avid Retro-gamers nowadays? One possible reason is probably due to the extravagant launch price in the US of $699 which in today’s standards would be around the $999-$1500 mark. Paying close to that much for a PlayStation 3 at launch isn’t so bad, or you could look at it as being able to buy a PlayStation 3, Xbox 360 and a Wii U at that cost. Another reason being the lenient approval system and lack of quality assurance for game development which gave developers the posibility to release just about anything (see ‘Plumbers Don’t Wear Ties’ as an example), but there are plenty of great titles made for it as well! Game developers were only charged US$3.00 as the royalty rate which is significantly cheaper in comparison to what SEGA and Nintendo offered at the time. All was steady yet competitive in the North American market for the 1994 product of the year (according to Time Magazine).. However with the cost of the units and loss of interest from developers to make more games for the 3DO, what with Sony’s launch of the PlayStation console which later ended up being the most successful CD-ROM based games console of all time. The 3DO disappeared back in to the shadows, the company halted hardware production and moved to game development. The Panasonic FZ.. wait, never mind. It already has that on the console. All right, more about the console and controller. The four models mostly recognised among collectors and gamers are the Panasonic FZ-1 and FZ-10, Goldstar 3DO, and Sanyo TRY 3DO. 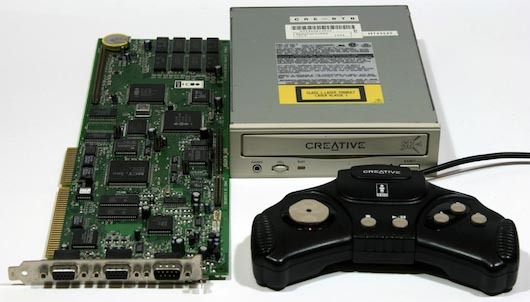 There were other variants like the Goldstar Alive, the Panasonic 3DO Robo and of course, the Creative Labs 3DO Blaster (which I mention more in this article). 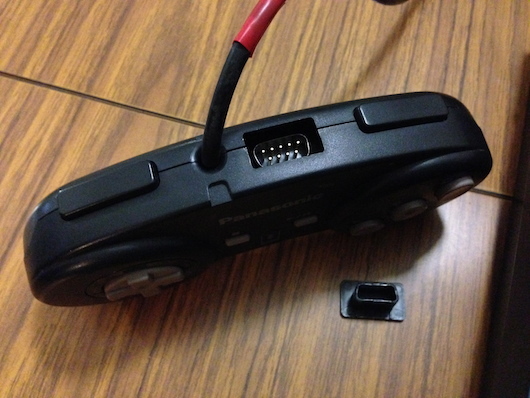 One distinctive ‘feature’ of a 3DO console is that it has one control port on the unit. It is the same throughout all retail models of the 3DO (except for the 3DO Blaster). At least you don’t have to buy a multi-tap for a 3DO, right? The controller as you see above has a port at the top which allows you to daisy-chain up to eight controllers, with a 3.5mm audio jack underneath that so you can plug in your earphones. (NOTE: I have picked what I picked for this article, knowing full well that there are many other titles out there worth checking out like The Horde, Captain Quazar, and Shockwave just to name a few, and of course there are plenty of great Japanese games too without of doubt but due to my extension of my library, I’ve picked what I found to be the better of the originals which aren’t ports of games on other systems besides the two honourable mentions). Before The Last of Us, before Uncharted, and before Crash Bandicoot was a struggling company desperate to make ends meet. Naughty Dog released what many would argue with second thought one of the better Mortal Kombat clones made. Believe me, there were many which were simply atrocious (Kasumi Ninja on Atari Jaguar for example mainly due to the poor special move mechanics). 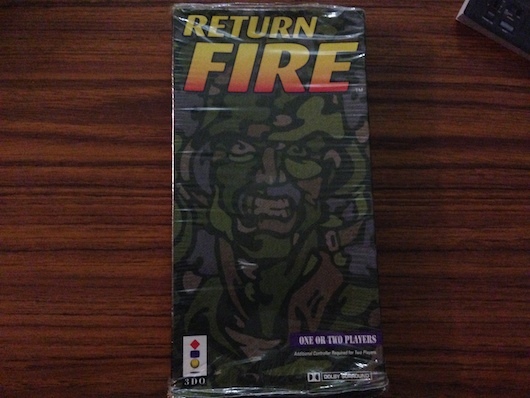 The game was made on a budget and not knowing that would have not changed my opinion on this title. When I write ‘budget’ I mean that the company couldn’t afford to get actors to model as the characters so instead they got their friends to dress up and pose in their apartment behind a white sheet. If they had to make moves that involved more space, they would do it in the corridor of their apartment. 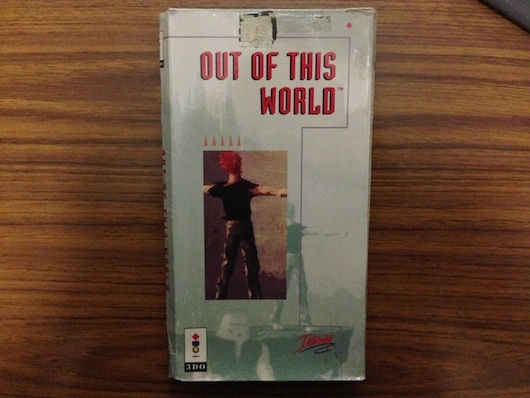 An interesting piece of gaming history and a good look at what Naughty Dog was up to before they got their fame with Sony. Not a bad fighting game either. Brutal, fatalities, power ups, power downs, secret moves, a grouse soundtrack from White Zombie and even a stage where the floor isn’t completely level. 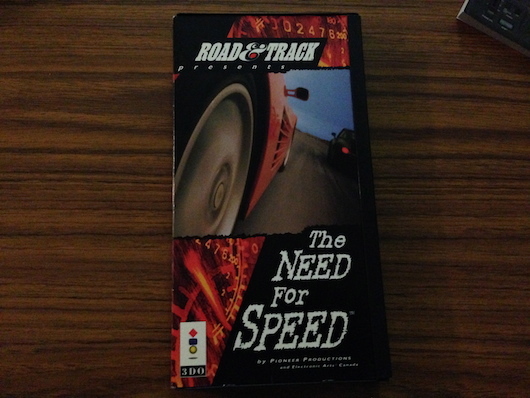 The first version of Need for Speed came out on the 3DO. Not on PC, not PlayStation, but the 3DO. It didn’t come out on PC till 1995 where of course the game was improved a lot from the original. Lets take a look at what the original offered: Eight cars, Three sceneries which split up in to eight tracks, an ability to replay your driving along with full motion video to wow and impress those who were first exposed to such things in video games. Believe me, there was a large percentage. The game hasn’t aged well graphically but nevertheless, Need for Speed still a notable title to own considering the origins of a highly successful and long-running racing franchise. Forget what you’ve experienced on the Mega Drive versions of this game, the 3DO version along with the PC version spawned what the game SHOULD have been. 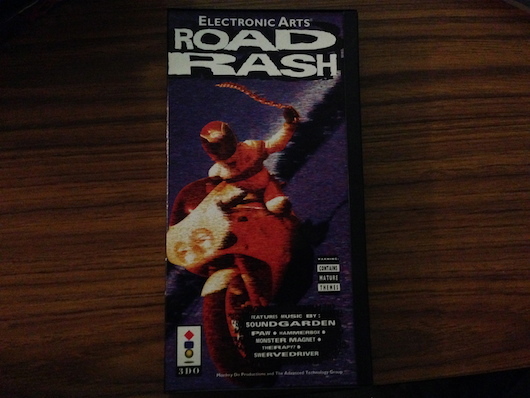 Road Rash 3DO is fast-paced, full of humour, 90s grunge music, fluid controls and more colour and vibrancy. However it does lack in a decent multiplayer in which the races are played in turns and that there are only three tracks. To be fair though, the tracks are cut up in to three large sections, so technically nine tracks with three scenarios ALA Need for Speed style. What a game! Simple objective: Pick your vehicle, grab the enemy’s flag and bring it back to your base without letting the enemy ‘Return Fire’. Although a simple sounding concept, there is a lot of strategy as each of the 4 vehicles do different things: The Tank will squish soldiers and can attack land and air targets, the Heavy Rocket Support Vehicle is slow but harder to destroy and can too attack land and air vehicles, the Helicopter is fast but weak, and the Jeep is the fastest vehicle, but the weakest and is the only one that can grab the enemy flag. Each vehicle has a dedicated soundtrack blared in the level, oh and the music? Classical all the way through. Although this game gets ‘samey’ it is still loads of fun in single or two player and if you do find yourself a copy of this game? Consider yourself grateful. I now remember why I hate doing top something in video games. I can list the titles in no order of why I like them, but it is hard to pick this one as a favourite as I’d have to tie it between Return Fire and this. 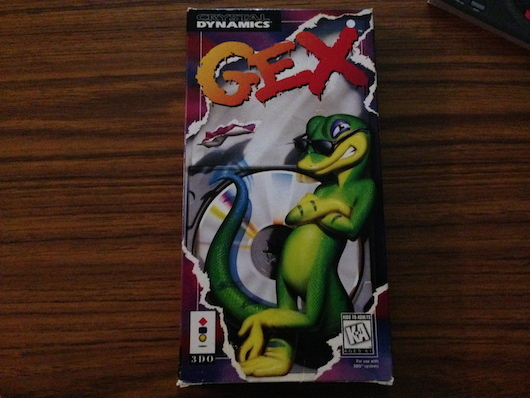 So Gex is a platform game that when you look at it, you’ll guess straight away the era that it’s from, and lets see what makes a 90’s platformer: Anthropomorphic protagonist, sassy attitude, colourful graphics, rich sound and loads of pop culture quotes that are now laughed at or ignored in a video game if played today. Although it is a time capsule from the 90’s full of references long forgotten, the game is damn good fun! Great graphics, fast, decent sound and gameplay that will either make you bite a chunk out of the controller or keep going. MUST HAVE! 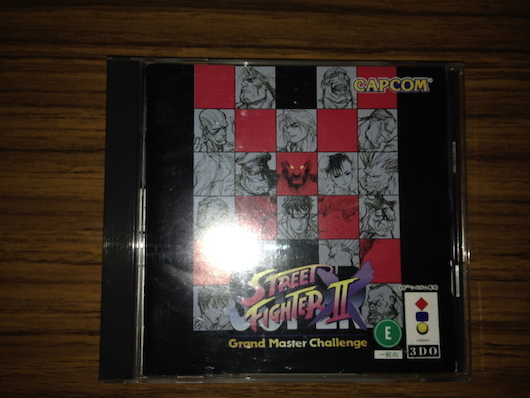 The Japanese release is called Super Street Fighter 2 X: Grand Master Challenge. No really. Graphics is spot on, music and audio is of its highest quality (CD Audio for the soundtrack), and the controls are responsive. Sadly the Achilles Heel is in fact the controls. 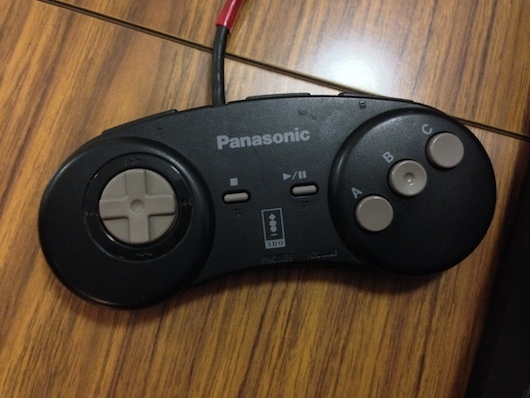 Take a look at the 3DO Controller again.. So what have we got: Light, Medium and Heavy Punch along with Light, Medium and Heavy Kick. 6 buttons, but there’s A, B, C, as well as L and R.. Well, if you guessed that the Play button becomes one of the buttons then you are spot on! I am told that there does exist a 6-button Joypad for the 3DO but they are getting harder to find day by day. Regardless, the port of Super Street Fighter 2 Turbo is the best feeling, sounding and looking but with crippled controls. Another port, I know but this is worth mentioning!! A masterpiece with a horrid ending. I’ve played many ports of this game in the past but this has to be one of the best I’ve played. Take a look at the video below demonstrating what the intro on the SNES and 3DO ports are like back to back visually and audibly. The graphics and sound in this is on par with the 20th Anniversary Edition that is available now on most mobile devices and home computers. It’s an honourable mention for a reason! In conclusion: I think that the 3DO shouldn’t be criticised for what it isn’t and what it was regardless of the initial cost and the less-tasteful releases that were available. The console had its fair share of good games along with not-so-good games. Remember this golden rule when it comes to consoles: Hate the game, not the console! I hope from this read you expand your mind and your games and console collection and check this intriguing game system out! I recommend you stick to the Panasonic-branded models (in particular the FZ-10 top loaded as it has internal memory). 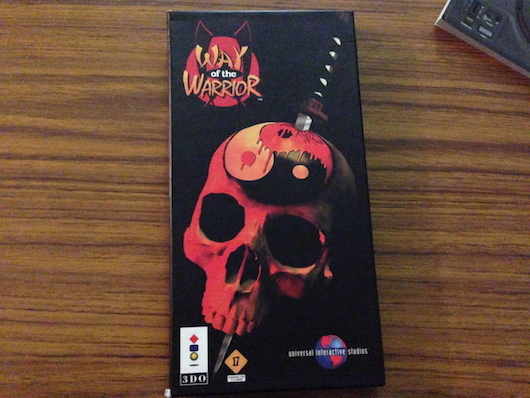 Got a favourite 3DO game that I didn’t mention? Drop a comment below or on Facebook.